I am a member of the Collective Bias® Social Fabric® Community. As part of my participation, I was recently chosen to evaluate the Walmart Family Mobile plans. This shop has been compensated as part of a social shopper insights study for Collective Bias and their client. It's amazing how much monthly expenses add up and with the economy, it's always a good idea to look for ways to cut and save a dollar here and there. Over the course of the past few years, I've looked at ways to save money and made some changes but there have been other areas I overlooked mostly due to procrastination. I firmly believe that my grocery bill goes further when I shop at Walmart as the prices just can't be beat overall and the quality of product is as comparable to other markets. 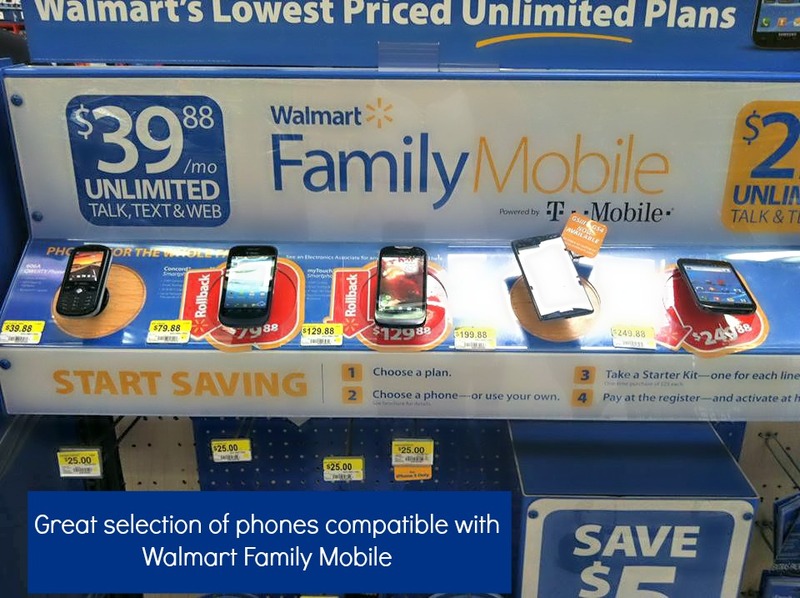 When I think of Walmart, I never really thought about cheap wireless plans as I just perceived them as a place to purchase goods. 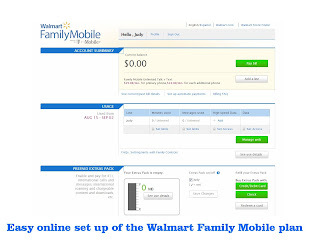 When I saw the opportunity to check out what the Walmart Family Mobile service powered by T-Mobile has to offer, I jumped on it as I not only have a cellular phone bill by a competitor that is way too high but I also have family members who could use the lowest price rate plan since they are on a fixed income. One of the biggest problems I have with my current cell phone provider aside from the enormous costs, is their requirement to extend the contract and now when you upgrade, they charge an additional fee just to upgrade while you end up having to extend the contract for another year or two. The add on fees are just too much and having the contract clause really keeps you locked in without having options. The plan starts at $29.98 for unlimited talk and text or $39.98 for unlimited talk, text and web. The unlimited talk, text and web provides up to 5 GB data for web and 3 G speed for e-mail, video, pictures and social media updates like Facebook and Twitter. Unlimited plans for data (high speed is capped - see above). 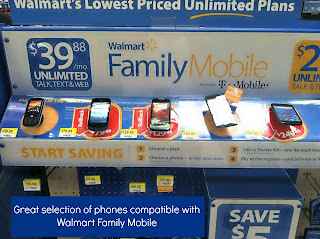 Options to use more than one type of phone for example, a variety of smart phones to non-smart phones are compatible with the Walmart Family Mobile Plan. This is good because my father does not like the smart phones and would not utilize the features. Ability to check online with the online account management and information link. 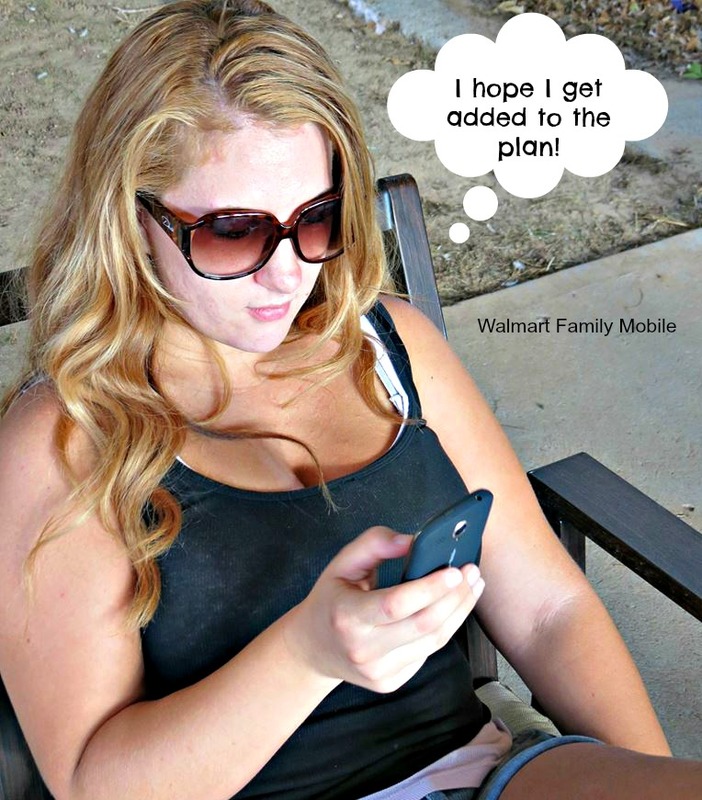 Ability to implement family controls, alert and notifications and everything else my current plan offers at the lowest price rate plan. Additional pack option to call and roam internationally and a speed boost option. 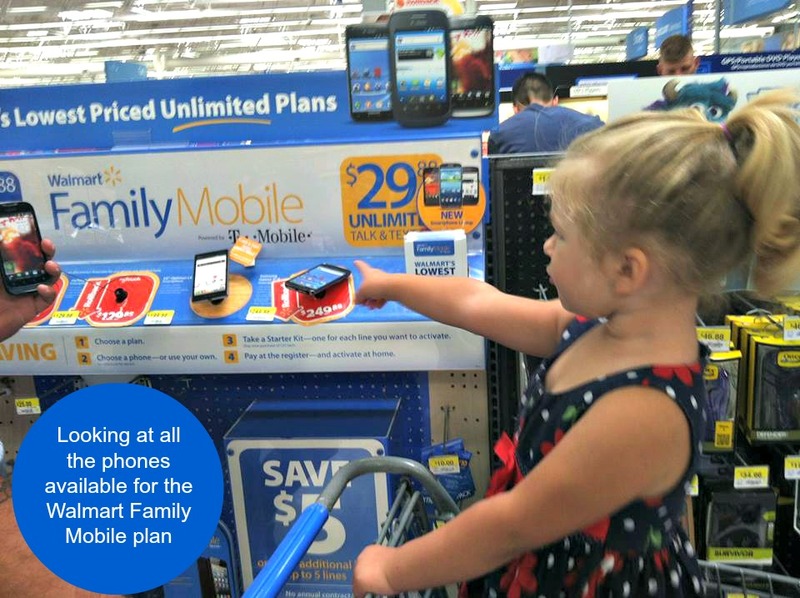 There is nothing different that the Walmart Family Mobile plan provides that is different from my existing plan other than a huge savings! 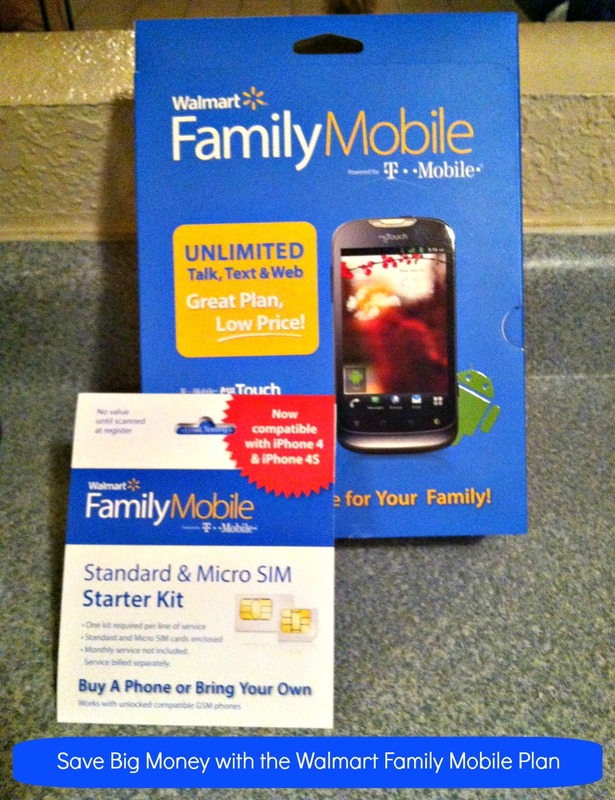 When I purchased the Walmart Family Mobile myTouch 4G cell phone, I also purchased the $25 Starter Kit and I was ready to go. The beauty about this activation is you can do it at home without having to wait to go through all the paperwork that takes a long time as it did when I purchased my iPhone at Best Buy this past year. The process is easy and step by step, you are done in less than five minutes. If you decide to not transfer your number, you can select your local area code as well. 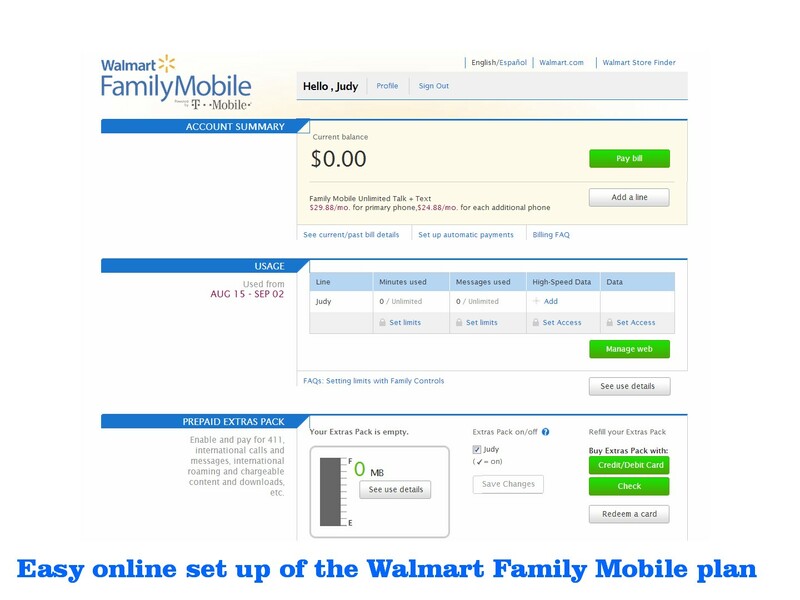 As I mentioned previously, Walmart Family Mobile also has an online account management and information website where you can pay your bill which you can also pay via your phone or at the kiosks inside Walmart. It was an easy five part set up to establish a new user. Here is where you can do all things such as see current/past bill details, set up automatic payments, add a line, set limits, set access, add packs and much more. It's a great site that allows you to manage your phone and achieve optimal savings while ensuring you have the ability to set up precautions protecting your children if they have a phone as well. Now I have my new phone, my new Walmart Family Mobile plan and I'm ready to go. T-Mobile has my service area covered along with any place that I might end up going in the foreseeable future so it's time to test it out! So far so good and stay tuned for an updated post to see how much money I saved and how happy my family is with the change. Check out my Google+ album for more pictures of my shopping experience. With the money I save switching to the Walmart plan I'm going to save it for a family vacation. Think of how much you could save each month for something much more worth while!